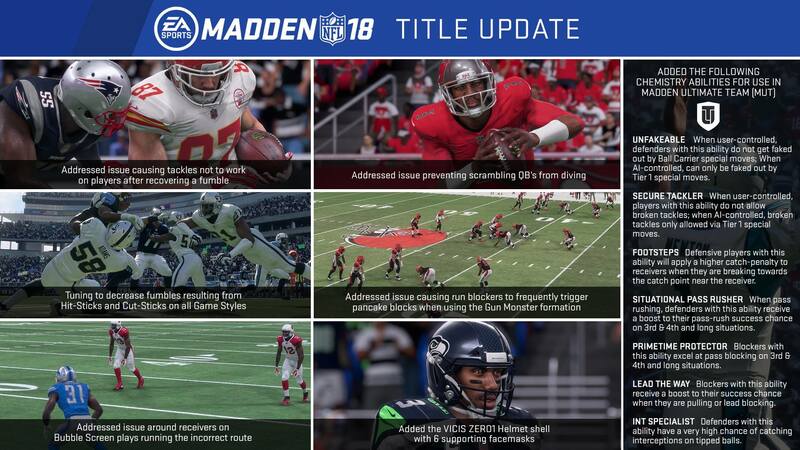 The Day 30 Update (update 1.04) is now available for Madden NFL 18. The update is considerable in size and scope, adding in new game features, as well as Franchise, gameplay, and visual authenticity improvements. 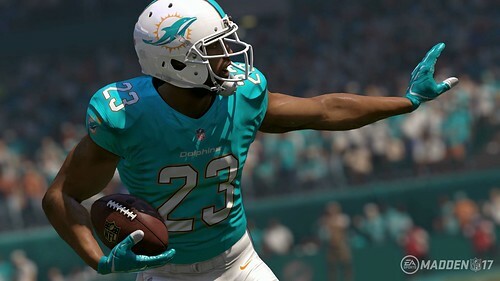 The Day 15 update (1.02) is now available for Madden NFL 18 as the development team worked to release it early with Hurricane Irma taking aim at the state of Florida. 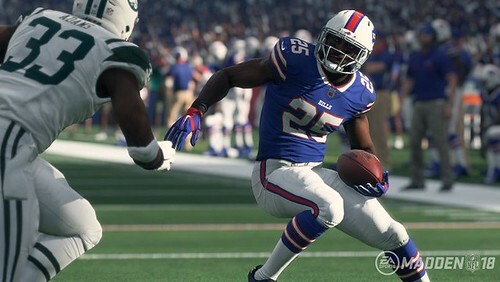 The update adds in HDR Support, but more importantly addresses some gameplay issues and concerns such as increased 'break on throw' reactions in zone coverage, decreased effectiveness of Ball Carrier special moves, increased pass rush when QB holds the ball for longer times in the pocket, and more. 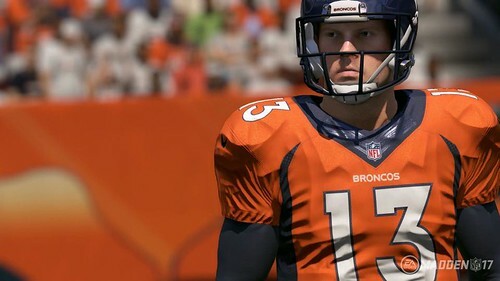 EA SPORTS has shared details on Play Now Live and Franchise Mode improvements coming to Madden NFL 18. Play Now Live allows users to jump into the season at any point with rosters and stats accurate to that point. Simple Season allows users to continue the year and decide how in-depth they want to be with team management. Users can also begin their franchise at any point in this season. Franchise Mode does not sport any singular major addition or significant area of focus, but rather a bevy of community requested or smaller improvements. Some of these improvements/additions include a customizable draft board, improved franchise commentary, and significant tuning in numerous areas. Coaching Adjustments, a popular feature from the NCAA Football franchise, will be coming to Madden NFL 18. The feature will be very similar, but with some additions and updates since we saw it last. One of the bigger additions is another highly requested community request, Cornerback Matchups. Users now have the ability to select from one of five ways for their CBs to be assigned to WRs: By Overall, By Speed, By Height, By Route Running, or By Depth Chart. In addition, the CPU will also utilize the Coaching Adjustments feature in specific situations. 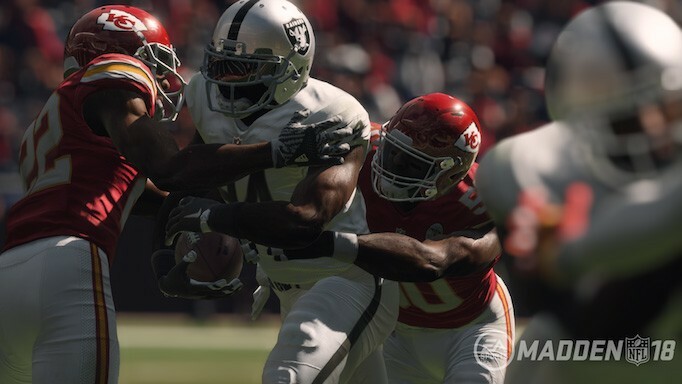 Madden NFL Designer and former NFL offensive lineman Clint Oldenburg has authored a new blog on some of the new features and highlights coming to blocking in Madden NFL 18. Some of the new features include ID the Mike, Offensive Line Unit Awareness, and a bevy of tuning and improvements to blocking logic. ID the Mike is a risk/reward mechanic that allows users to identify the Mike linebacker or who the fifth target of the offensive line should be. Offensive Line Unit Awareness will see your O-Line play above their ratings in recognizing and picking up blitzes, led by the awareness rating of your center. EA SPORTS has posted a new Madden NFL 18 blog detailing some of the top community requests from M17 and how they addressed them for M18. Some of the highlights include: injuries away from the ball (including linemen), 'Ballhawk' now a timing-based skill, elimination of the 'Swerve' technique, improved fumble recoveries, size & weight more important in determining Hit Stick and impact block outcomes, and slower players less likely to catch faster players, among other numerous improvements. This blog is one of the best and most-welcome for Madden NFL 18 thus far in the pre-release cycle and ALL sports games should do something similar. Sometimes the biggest improvement(s) to the game for many in the community is just improving and addressing concerns and issues from the previous iteration, so learning about these changes now should only bolster and boost community anticipation for the title. EA SPORTS has posted the first gameplay trailer for Madden NFL 18 and three blogs detailing specific areas of gameplay imrpovement coming to the title: the new target passing mechanic, new WR/DB interactions, and three selectable gameplay style options (arcade, sim, and competitive). The new target passing mechanic adds an additional level of control by letting players see exactly where the pass will go and lead/deliver it with precision. 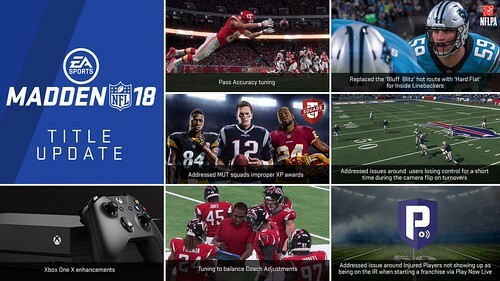 The new WR/DB interactions essentially incorporate a new mini-game within gameplay featuring a bevy of new mechanics and options, and the three gameplay style options to let users select what type of experience they aim for when playing a game of Madden NFL 18. Click the following links to read the specific gameplay blogs for the new target passing mechanic, new WR/DB interactions, and gameplay style options. 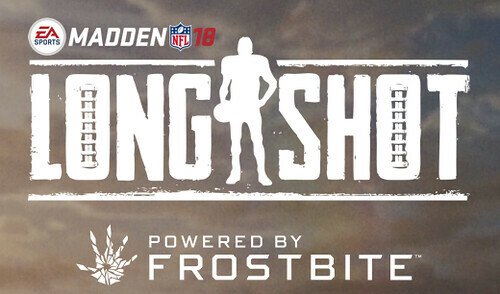 During EA Play 2017, Madden NFL 18 revealed "Longshot", the first story mode to be a part of the Madden NFL franchise. Longshot is led by an impressive cast: J.R. Lemon (The Night Shift) as Devin Wade, Mahershala Ali (The Hunger Games: Mockingjay, House of Cards, Moonlight) as his father Cutter Wade, Scott Porter (Friday Night Lights) as his friend Colt Cruse, and Dan Marino (Ace Ventura: Pet Detective) who will serve as Devin's mentor. It also includes Chad Ochocinco and NFL coaches & players. In development for the last four years, the mode will play out as an interactive movie with influence from the Telltale Games series. There is no hub or in-mode interface for users, but rather the player will go straight from cutscene(s) to gameplay. Users will play high school, college, combine, 7v7, et al. but will not play as Wade in an NFL game. 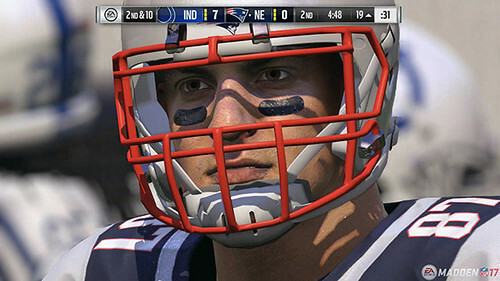 Once the mode ends, users will receive rewards and content for use in Madden Ultimate Team. Worth noting in the trailer is the inclusion of college football teams, namely the Oregon Ducks and Texas Longhorns. As of this time, it is unknown if additional college teams will be the mode and if the user will be able to spend significant time playing as either. EA SPORTS has announced that New England Patriots quarterback Tom Brady will be the cover athlete for the standard and G.O.A.T. editions of Madden NFL 18, set to launch in late August. The G.O.A.T. Edition will allow users to play the game three days early and will also include a bevy of Madden Ultimate Teams perks and bonuses. Brady also addressed the much-discussed 'Madden Curse,' in not one, but two videos on his Facebook account. Amazon's product listing for Madden NFL 18 provides the community's first information regarding the game. The standard version of the game will release on August 25, with those who pre-order the 'g.o.a.t.' Edition able to play on August 25. 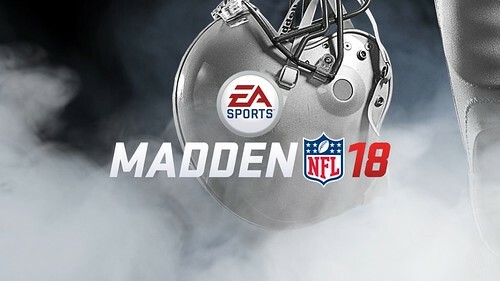 Among the early game info/features revealed: M18 will be powered by the Frostbite Engine and Play Now Live will allow users to play that week's NFL match-ups. 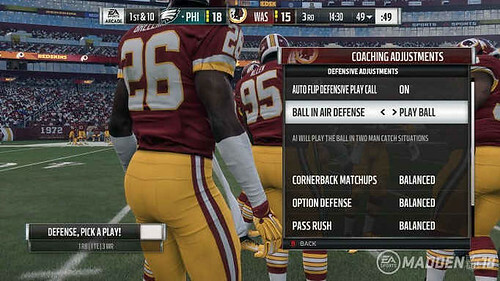 Gameplay improvements include target passing, three play style options (Arcade, Simulation, Competitive), coverage assignment options, and coach adjustments. 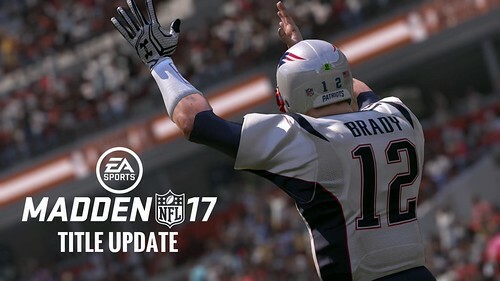 Game update 1.11 is now available for Madden NFL 17. This update addresses issues in gameplay, Ultimate Team, and also some stability issues. The most noteworthy fix addresses a bug where the offensive tackle would play a blocking animation without actually engaging a defender. Game update 1.10 is now available for Madden NFL 17. This update focuses primarily on addressing gameplay issues, but also includes some stability & CFM fixes. - All game modes now run at the same game speed. 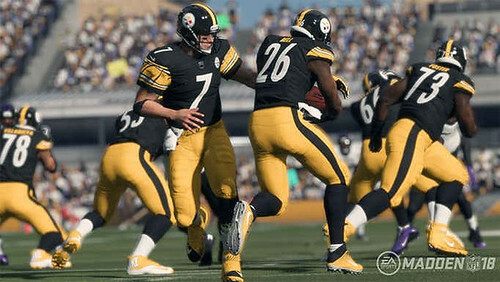 - Blocking: Improved pass block targeting, fixed 'players freezing' issue coming out of blocking interactions,and free O-lineman will no longer ignore nearby defender who just beat a block. 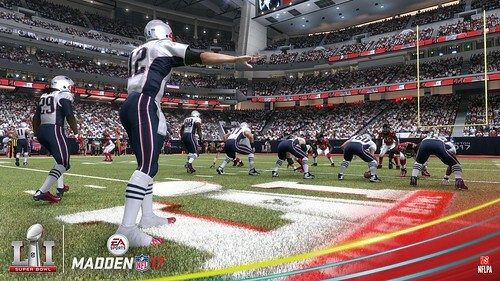 The official EA SPORTS Madden NFL 17 Super Bowl LI Game Simulation predicts that the New England Patriots will rally to defeat the Atlanta Falcons 27-24 in Sunday's match-up. In a battle going down to the wire, the sim has Tom Brady connecting on a 4th & 4 touchdown pass to Julian Edelman to win the Vince Lombardi Trophy. Do you think the game will play out like the simulation? How do you see the game playing out? 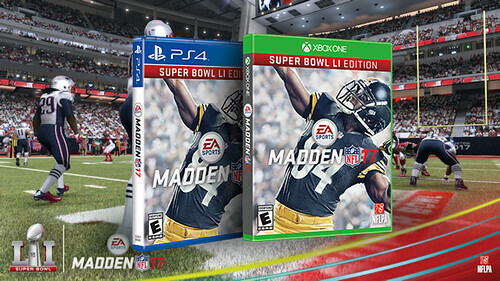 Available this week only (Jan. 31 - Feb. 7) is the Madden NFL 17 Super Bowl LI Edition. For just $20, this digital download provides purchasers with the full game of Madden NFL 17 plus 5 All-Pro Packs for Madden Ultimate Team. This digital download is only available on Xbox Live & PlayStation Network. Game update 1.09 is now available for Madden NFL 17. While light on gameplay improvements, it does address an exploit that allowed users to have a high rate of success blocking field goals. The primary area of focus for this patch is Madden Ultimate Team and more specifically, MUT Seasons. Season progress, playoff presentation, night games, and also a bug fix in this game update all help to improve this mode within MUT. Continue on to read the patch notes straight from EA SPORTS. 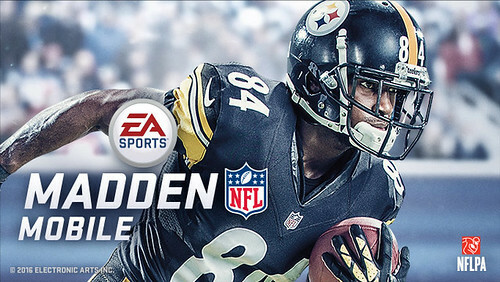 Madden NFL Mobile has received a new January update including updating the digital cover athlete to Pittsburgh's Antonio Brown after previously highlighting Rob Gronkowski and then Von Miller in previous updates. The primary focus of this update includes changes to Defensive Gameplans to help alleviate the severity and harshness of some counters. Other additions within this update include social media sharing, quick selling coin collectibles from the pack opening screen (ala NBA LIVE Mobile), as well as stability fixes. The newest Madden NFL 17 game update is small in size (just 88.81 MB on PS4), but alleviates issues that arose during the game's most recent eSports event, the Madden NFL 17 Classic. This update also prepares Madden Ultimate Team for the upcoming Holiday Freeze event. 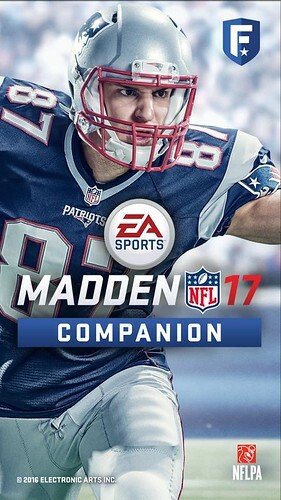 After being highly desired by the community and a lengthy wait, the Madden Companion App is now available. 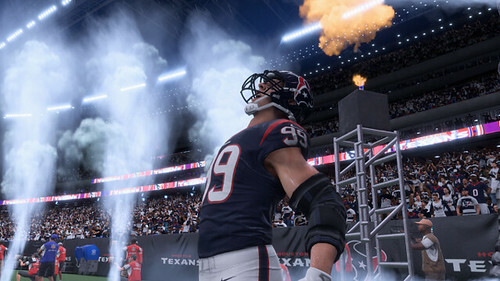 Included among features of the app are Franchise Mode management, access to Madden Messenger, MUT Rewards status and statistics, user-generated content, and developer blogs.